Agua Viva is committed to our projects lasting for the future. All of our community sized projects include a co-op component to continue to maintain the systems for the future. We partner with our communities to build a board of directors and begin collecting money to build a maintenance fund. 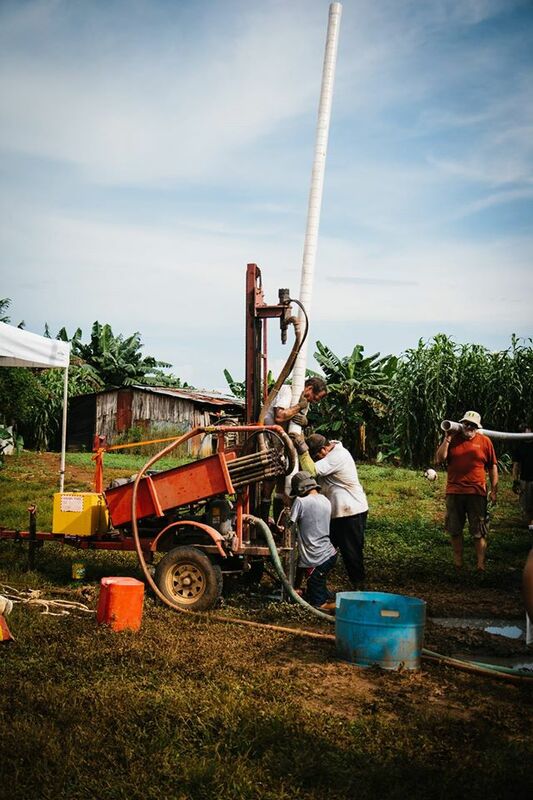 Each Community Water Project Costs $50,000 to reach over 600 people in need. Each project starts with a water source. The most common source of clean water is the upper aquifer. This is a sand layer below ~90ft of thick clay. Agua Viva Serves owns one Deep Rock M60 drilling rig and two Ford F-250 trucks. The current system has the ability to drill wells up to 200ft deep. Larger systems require the addition of a water tower. The towers are built by staff and volunteers and can be over 20ft tall. Once the well is confirmed clean and sufficient, the tower is completed and the tank is installed. Water main must be run within easy reach of the homes. This can mean digging a mile of trench and installing 3 inch main. AVS has made a long term commitment to the communities we serve. We will guide them and help administer their new systems until they are ready to take them over. Our goal is to build a self governing and sustainable water system for the future.